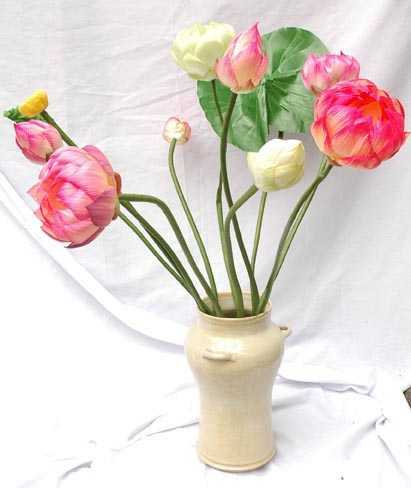 Beautiful silk lotus with a white/ivory creamic vase. 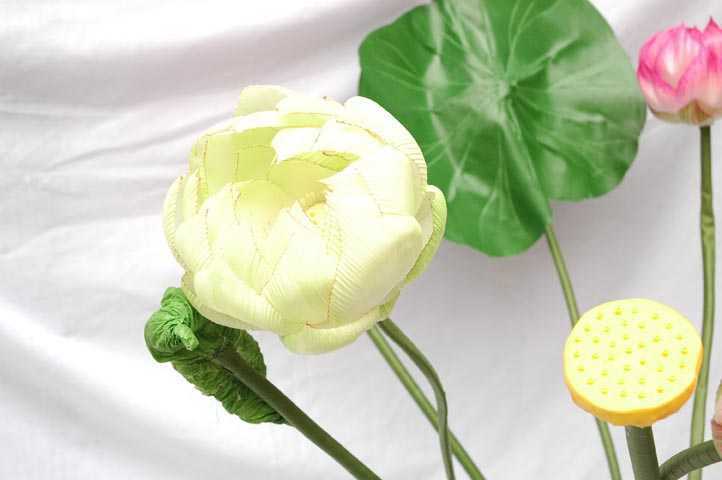 The lotus are hand made out of silk. It is very difficult to tell wheather they are silk or real. They look like real lotus. 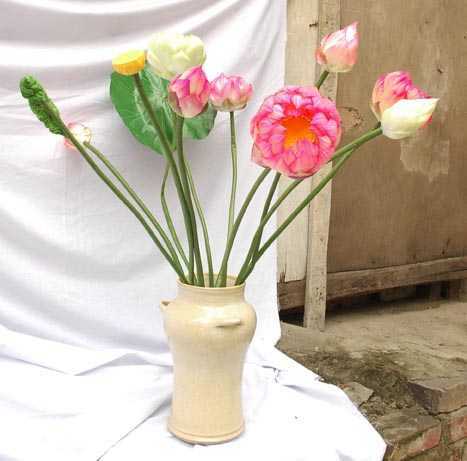 They are made by the famouse flower maker, Ms. Hanh, who lives in Cha Ca St. Hanoi, Vietnam.